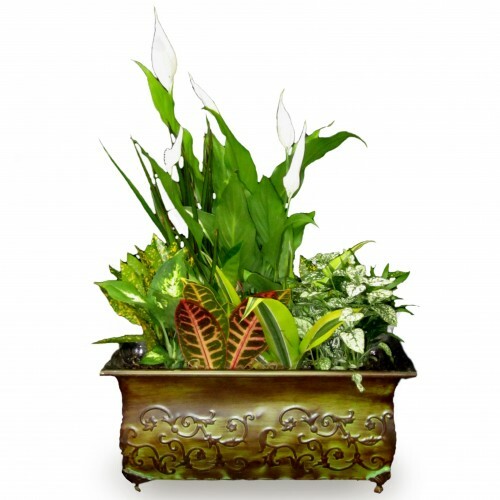 Send your deepest condolescences to a loved one with our "Peace Planter" which includes the elegant calla lily. This type of planter is traditionally used at a loved one's funeral, or for the family's home. Wherever it may be placed, knowing that the array of evergreen plants will last even after the service, is settling.